Past, Present, Future — Valerio Dewalt Train Associates, Inc.
Having wrapped up 2017, we’ve taken time to reflect upon the year’s achievements and celebrate what’s in store for us in the future. We are proud to share the accomplishments of our clients, along with those from our own organization. All of these successes have us welcoming a new year’s worth of challenges with open arms. 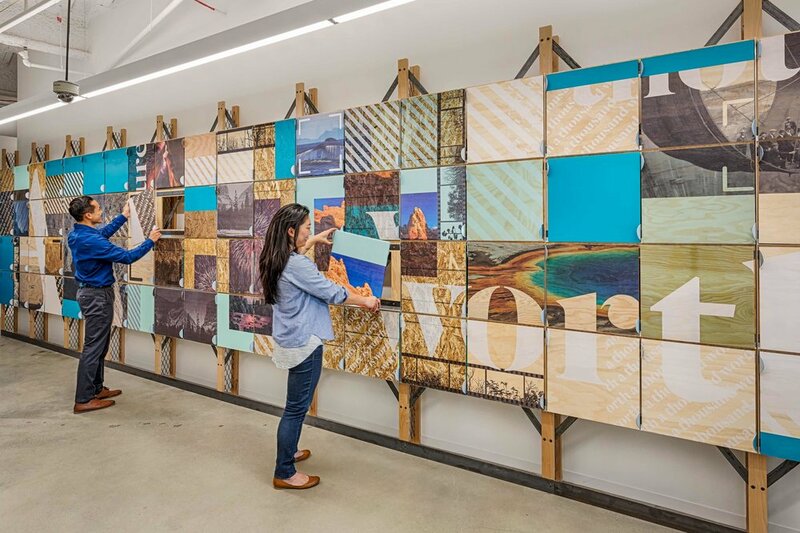 How our partners have embraced design to grow and flourish their companies. As this organization expands to meet an ambitious program for growth, opening new offices has provided them with a new set of challenges regarding culture, identity and facility management. 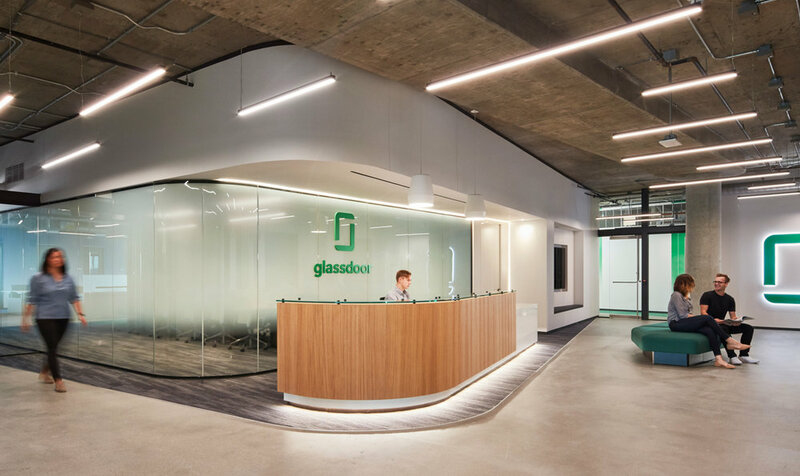 The design of their Chicago office proved to be the perfect exercise to address many pending questions, allowing them to incorporate local culture and simultaneously refine their corporate brand identity. Intertwining efforts from the Architecture and Media Objectives studios have produced dramatic results evident in the bustling and thriving completed space. Taking its place as the newest addition to Milwaukee’s skyline, the organization has established a gleaming presence in the heart of the city. Following a four-month intensive research phase of immersions, workshops, bench-marking and over 100 interviews with corporate stakeholders; VDT was able to establish a new vision for their headquarters that aligned with the CEO’s ambition for the company. 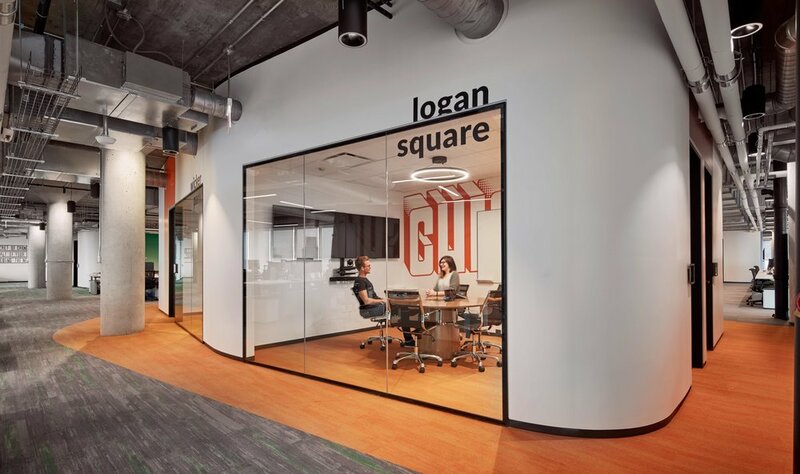 Following a fruitful collaboration with Pickard Chilton and Kendall/Heaton Associates, the headquarters now span across two city blocks and 24 stories, allowing 6,000 employees to enjoying state of the art facilities by the lakefront. Traditionally, workplaces for financial investment management companies are filled with “closed-door” offices. 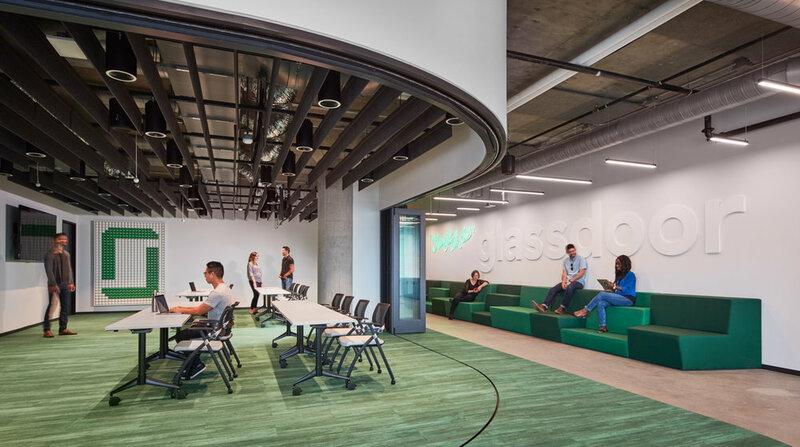 Over the past six years VDT has been working with the global industry-leading firm Balyasny Asset Management (BAM) on changing this mentality with their workplace environments. By creating environments that are more open and transparent, different departments are now cross-collaborating, allowing for a stronger business model to flourish. 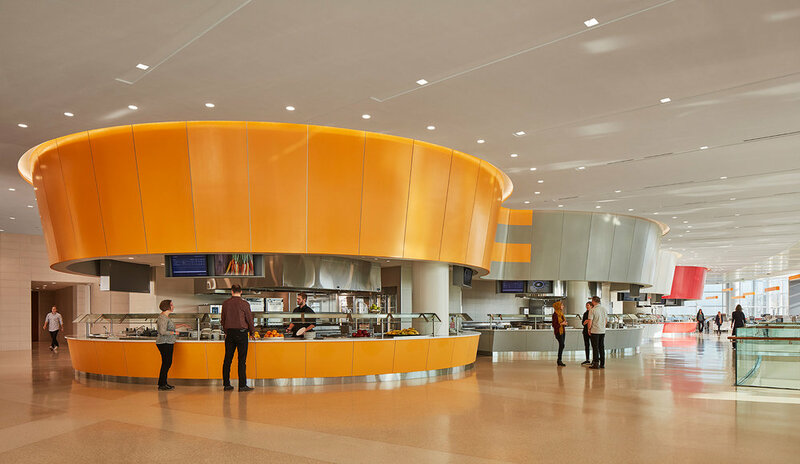 Additionally, by integrating a variety of social spaces into their environments, BAM has seen a significant improvement with their employees overall well-being. 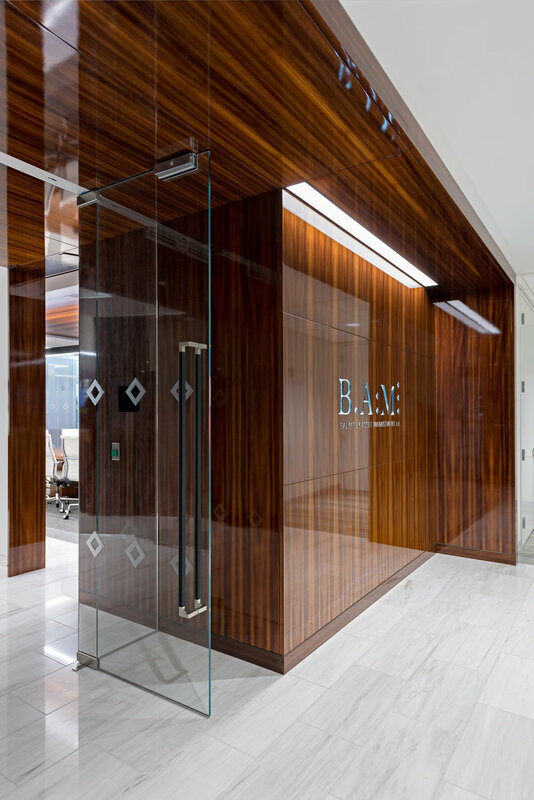 The success of these design solutions developed with VDT are driving the designs for new BAM offices in Singapore and Hong Kong. This technology company has taken various measures to support employee health, well being and sustainability. 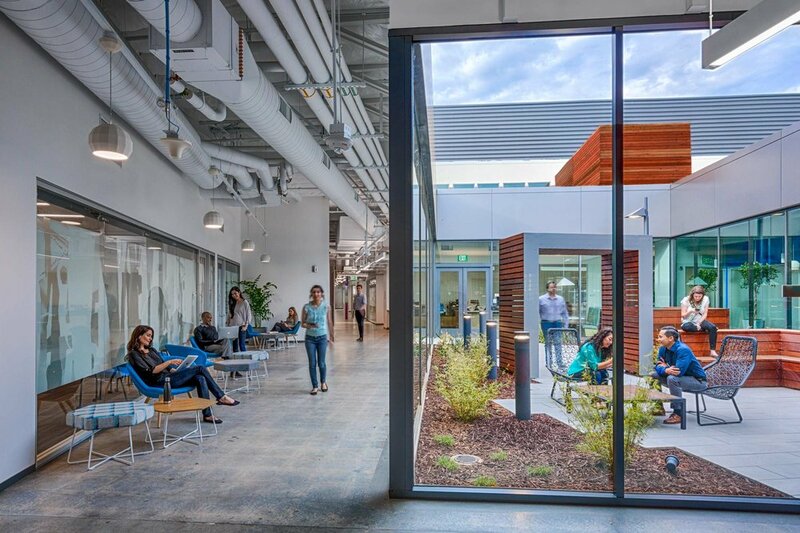 With the help of VDT, an open air central courtyard was carved out of this former data center building in order to provide the biophilic benefits of connection to the outdoors as well as to natural daylighting. With the addition of a flexible, adaptable, and hackable environmental graphic program the workspace is further enlivened..
As part of a larger initiative to densify Denver’s RINO District, VDT has been working with Kairoi Residential (formerly The Lynd Company) on the area’s most prominent housing development. Using cutting edge prefabrication techniques, construction has increased its pace to around 5000 square feet per week. With the concrete for its ground floor podium complete, this Denver RINO district residence is set for rapid construction. 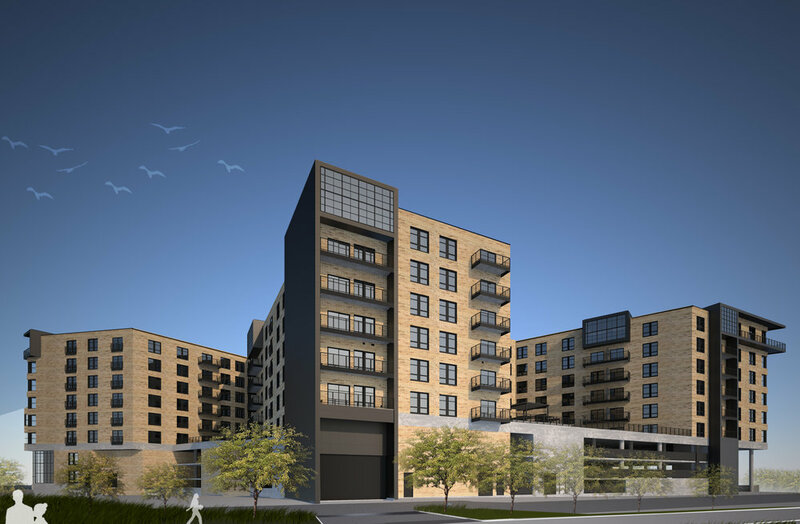 Eight stories, 190 units, and 14,000 square feet of retail space are being developed. 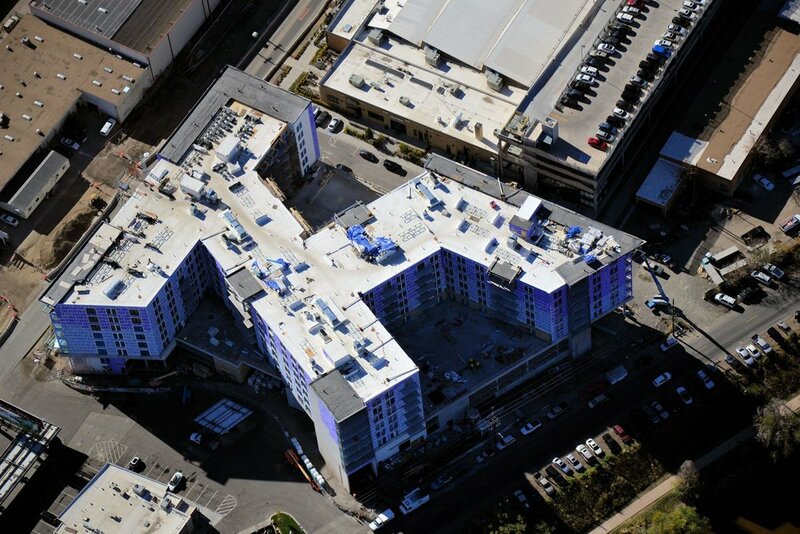 Using the same prefabrication techniques employed in the Industry Apartments, the 2019 completion is fast-approaching. Topping out on East Ontario Street is Aloft’s new location on the Magnificent Mile. Built on a site that was previously the Museum of Contemporary Art, the hotel pays homage to its predecessor with a 26 foot high porte cochere lined with LED lighting, reminiscent of light sculptures from artist Dan Flavin. Our partnership with Tishman Hotels and Realty is leading to the creation of one of the brand’s most exciting flagship hotels. The introduction to college life is one of the most significant moments in students’ lives, which is why the University is working to promote community interaction and student engagement in their new Freshman residences. Undergraduates will soon have rooms organized around double height ‘living rooms’ and study spaces. With an ambitious sustainability agenda, the complex is on track to achieve LEED Platinum certification. A building that was previously known as “Anchor Bank,” is being rapidly transformed and redefined as an office building. Its glass skin, bigger floorplates and vast retail areas on the ground floor, will provide the block with new business opportunities and a fresh new look. This 80 unit cosmopolitan residential property is nearing completion. 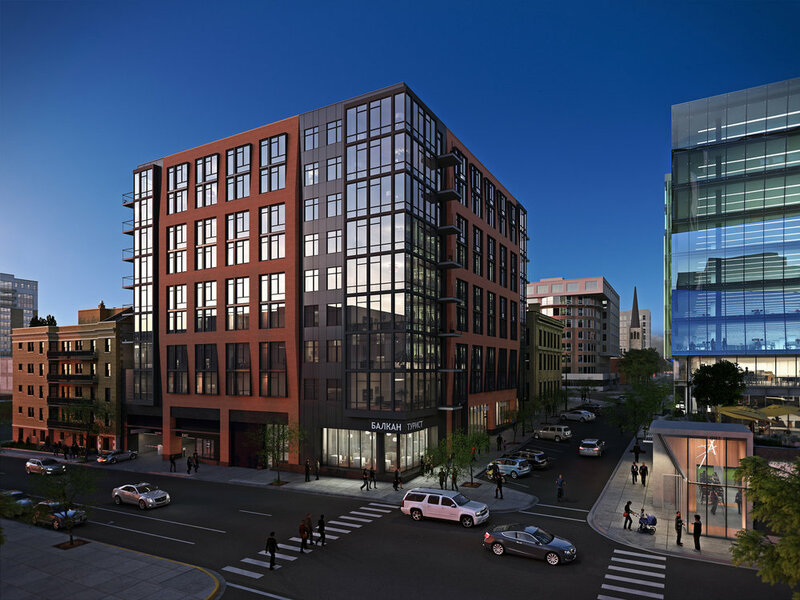 With high ceilings, large rooms and premium finishes the apartments set a new standard for living in downtown Madison. VDT worked closely with Urban Land Interests to build a 538-space parking garage below ground serving nearby office buildings maximizing value for the site. 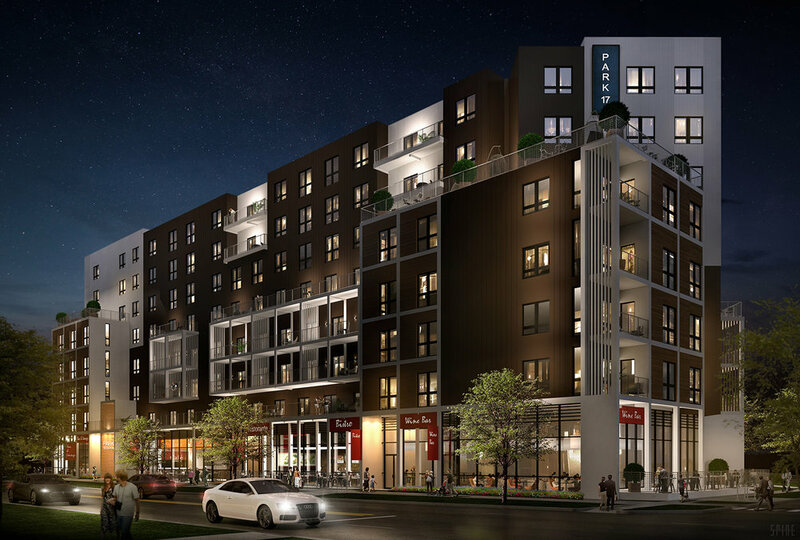 This mixed-use development in the RiNo district will be 12 stories high and will include: office, parking, retail, hotel and residential space. In September, our San Francisco office moved to a new location adjacent to the AT&T stadium. We’re excited for the opportunity for growth and collaboration in this new space. 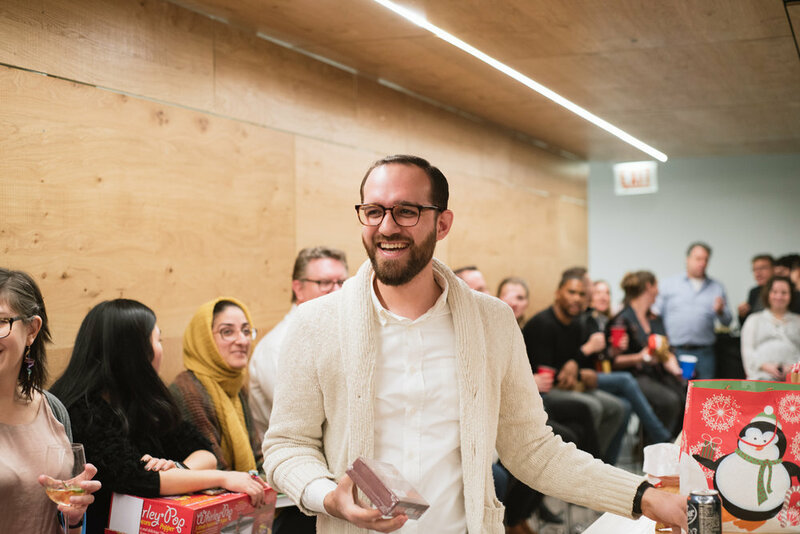 Now occupying a floor and a half of the historic Boyce Building in the River North neighborhood, our staff are enjoying a daylight-filled open plan, an all-hands social space and brand new technologically advanced meeting rooms. Have you noticed our new website and logotype? We’ll be releasing more about this in the upcoming weeks. We’re happy to announce that Joe Lawton has been promoted to Principal and Crystal Adams to Associate / Studio Director of our M-O studio in San Francisco. 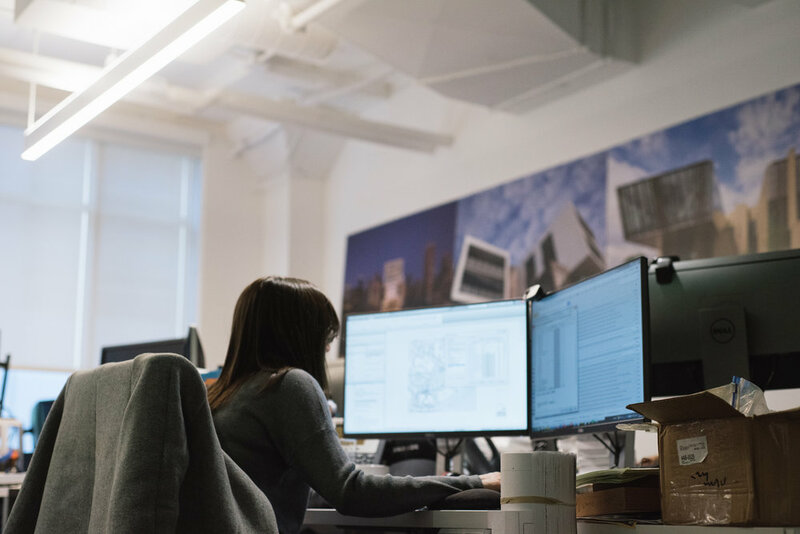 We’d like to congratulate Arris Finkbeiner, Jennifer Cooper, Noah Bentley, Rebecca Kirova & Michelle Chang on reaching the major milestone of becoming licensed architects! Social Economic Environmental Design (SEED) is a network of individuals and organizations dedicated to building a culture of civic responsibility and engagement in the built environment. We’re proud of Jennifer Cooper, Katie Hart and Maya Bird-Murphy for being the first in our firm to be certified. This in-house, week-long event was organized by Romina Tonucci to not only to bring more awareness to our own sustainability efforts, but also to learn about new technologies and techniques in the industry. Mini-trade shows, lunch & learns and evening activities kept us excited and busy. Refortify is a fort building event where 7 and 8 year-olds design forts that architects must construct out of donated clothing. 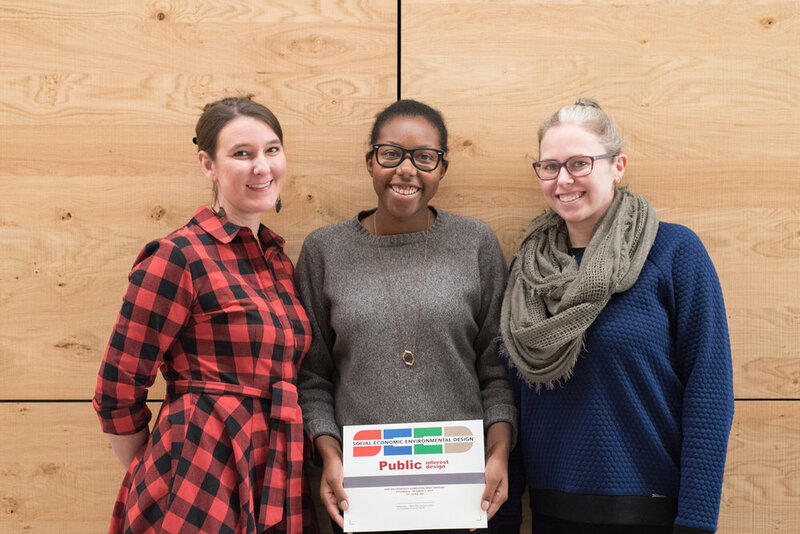 This year, our team was ecstatic to receive the People’s Choice Award.